« LPL Atlantic City, NJ – Tickets for you and a friend! 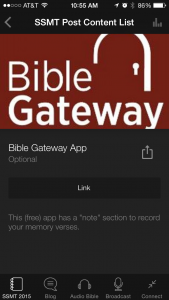 * Bible Gateway.com – optional resource for searching scripture in many different translations. 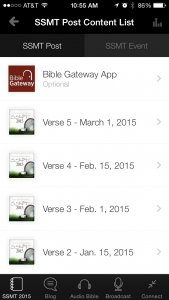 * Scroll to the very bottom of the page where you submit your verse in a comment. That’s it! Feel free to click around and see other fun features on the app. Enjoy! 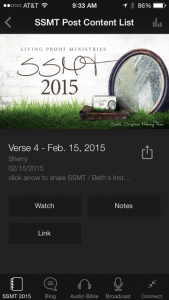 This entry was posted on Friday, March 13th, 2015 at 10:47 am	and is filed under Scripture Memory 2015, Uncategorized. You can follow any responses to this entry through the RSS 2.0 feed. You can skip to the end and leave a response. Pinging is currently not allowed. I memorized that version rather than the NLT. I didn’t ask for this, but thanks for those who did. This is great! Blessings. Then you will call on me and come and pray to me and I will listen to you. You will seek me and find me when you seek me with all your heart. I will be found by you declares the LORD. For I am the Lord you God who takes hold of your right hand and says to you do not fear, I will help you. 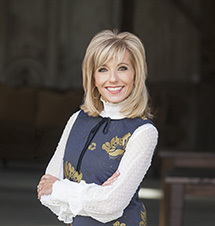 Linda Johnson, High Point, N.C. I totally missed this post the first time but thank you to all who had a hand and mind in this. 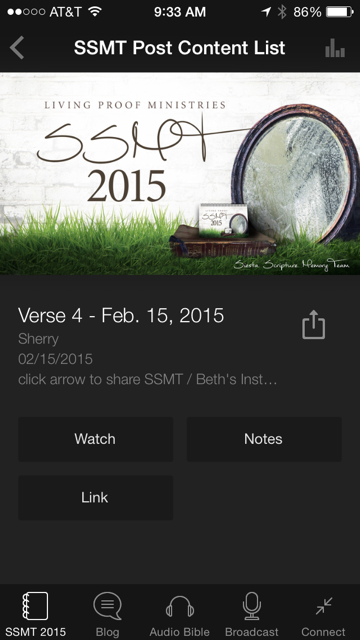 I’ve been struggling through memorization so far and I think this app will help in my goal. 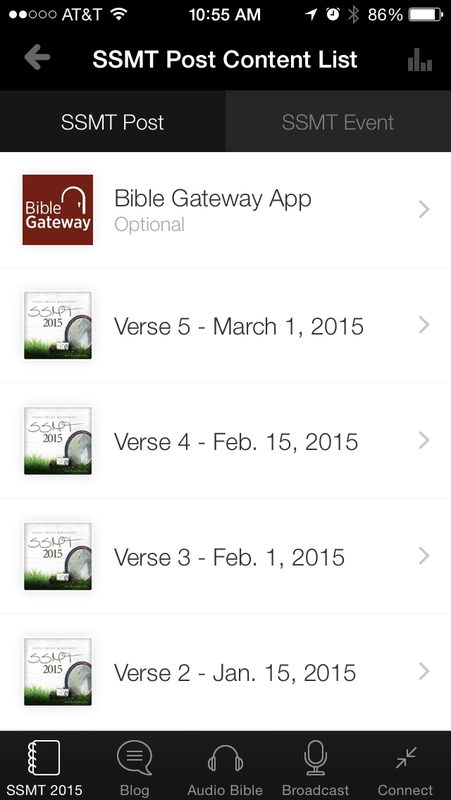 All loaded and verses saved by date and week number in Bible Gateway app as well. He will be the sure foundation fory times, a rich store of salvation and wisdom and knowledge; the fear of the Lord is the key to this treasure. Isaiah 33:6 (NIV). Let the morning bring me word of your unfailing love, for I have put my trust in you. Show me the way I should go, for to you I entrust my life. Rescue me from my enemies, Lord, for I hide myself in you. Teach me to do your will, for you are my God; may your spirit lead me on level ground. Thank you everyone who asked, created, and made this possible. 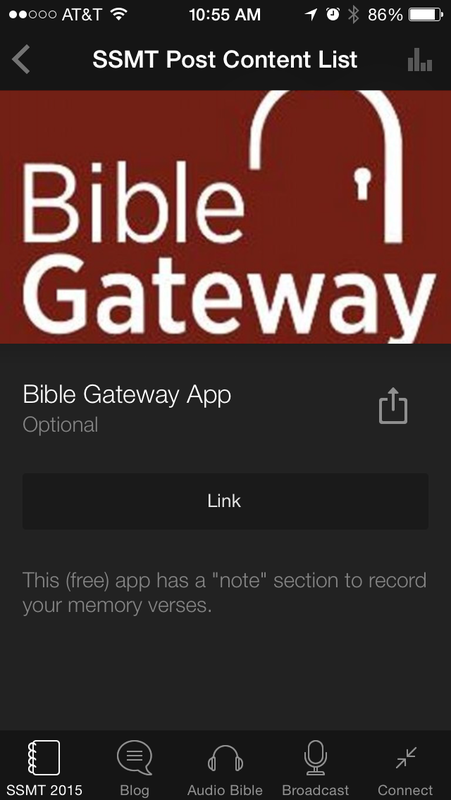 I totally appreciated that the app reminded me about the next verse time. I need to learn more about it so that I can absorb my verses easier. In time, I know, but I appreciate any assistance I can get. Who can discern his errors? Forgive my hidden faults. Keep your servants also from willful sin, may they not rule over me. Then will I be blameless, innocent of great transgressions. May the words of my mouth and the meditation of my heart be pleasing in your sight, Or Lord, my Rock and my Redeemer. Store up for yourselves treasures in heaven, where moth and rust do not destroy and where thieves do not break in and steal. For where your treasure is, there your heart will be also. God is the one who makes us patient and cheerful. I pray that he will help you live at peace with each other, as you follow Christ. Trust in the Lord with all your heart and lean not on your own understanding Proverbs 3:5 NIV. Come to me, weary and heavy laden and I will give you rest. I feel compelled to explain why I chose this. It wasn’t just because it was short. At times I feel that since Christ knows the future and is in control, He may not feel the way we do. However, these two little words assures us that He does understand. He does relate to our loss and our pain. He is not some far away being, who cannot relate. He is with us daily. “But I am like an olive tree flourishing in the house of God; I trust in God’s unfailing love forever and ever.